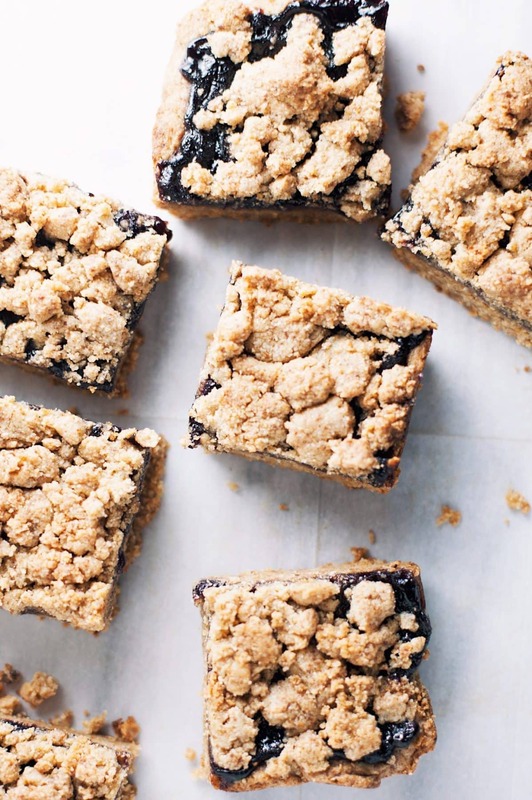 These Paleo Blueberry Crumble Bars have layers of fresh blueberry jam with an almond flour and coconut sugar crumble. 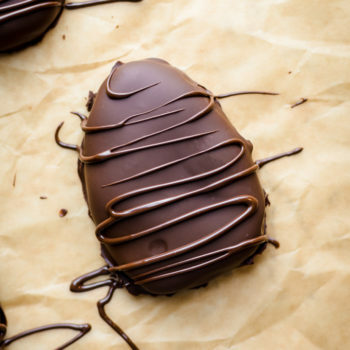 Super easy to make, have 5 main ingredients, and are the most delicious healthier dessert! 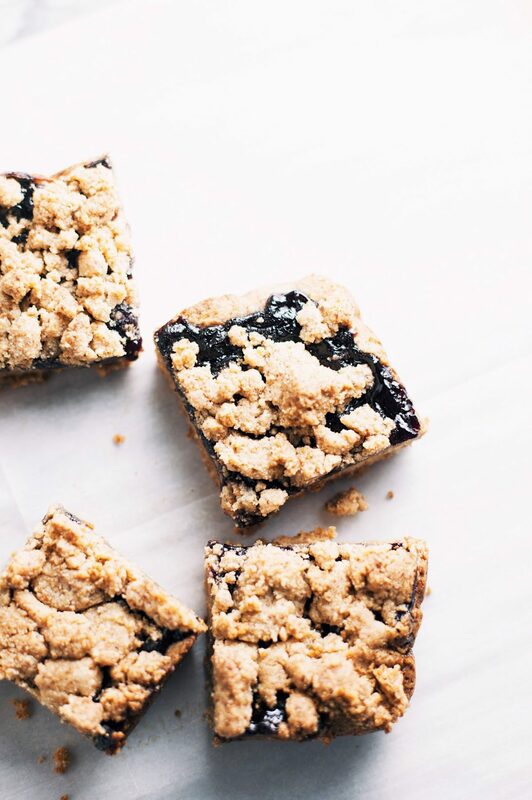 We are going to break down this recipe and talk about how to make these yummy blueberry crumble bars. 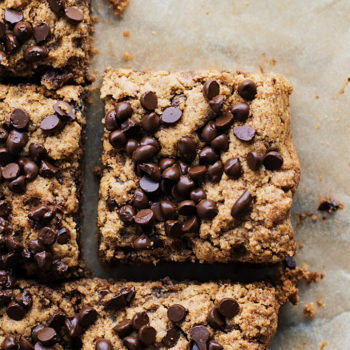 They require 5 ingredients to make – with a base of almond flour, coconut oil, and are sweetened with coconut sugar. If you are looking for a guilt-free dessert/snack, this is absolutely perfect, and SO yummy! Gimme a cup of coffee to enjoy with these and I’m set. 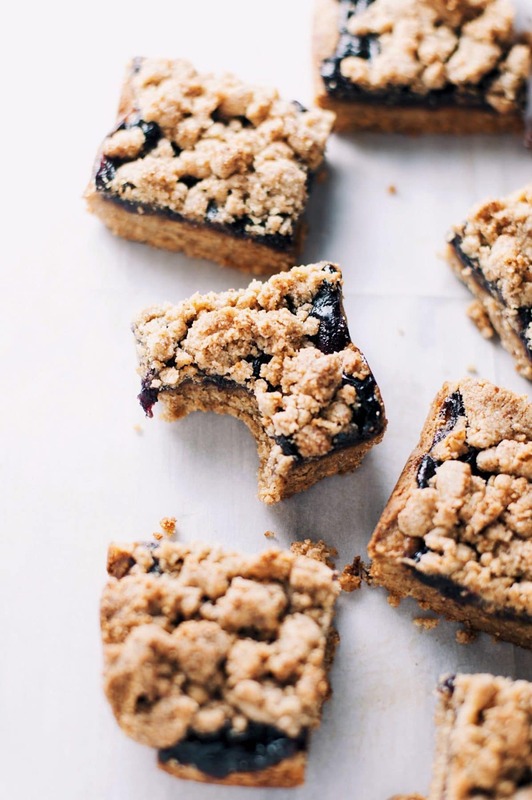 It’s just like blueberry pie – but healthier and in a crumbly bar form! Natural sweeteners I like to use in this recipe – coconut sugar, maple syrup, agave nectar, or honey. I recommend lining your baking pan/dish with parchment paper to easily lift and remove bars from pan when they’re finished baking. For this recipe you can also use blackberries, raspberries, or strawberries in place of blueberries. Store bars in the refrigerator in a sealed container to keep fresh. 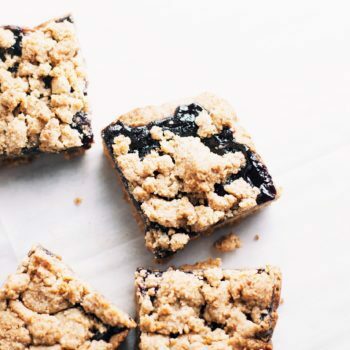 With just 5 ingredients and simple instructions, there’s no stopping you from enjoying these yummy paleo blueberry crumble bars. Delicious, easy, and a healthy way to do dessert! 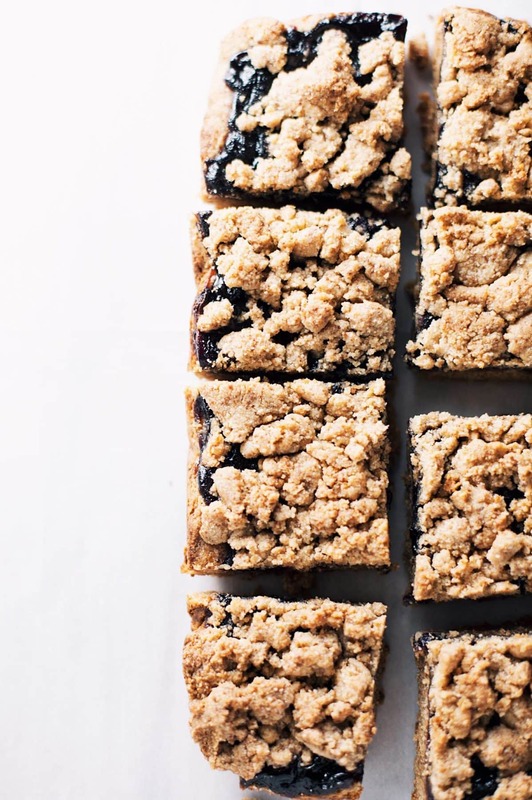 These Paleo Blueberry Crumble Bars are easy to make, have 5 main ingredients, and are the most delicious healthier dessert! Preheat oven to 350F. Line a 9x4 loaf pan with parchment paper (make sure edges of paper are above pan height when tucked in so you can easily lift bars out when finished). 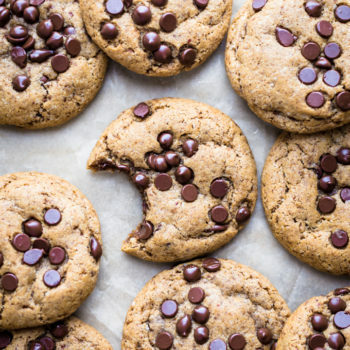 Mix together almond flour, coconut sugar, coconut oil, nut butter, and salt. Mixture will be crumbly but should hold together when pressed between your fingers. Set aside 1/2 cup mixture for topping. Add remaining crust mixture into loaf pan lined with parchment paper. With back of spoon press crust into pan and even out edges. Bake crust for 10 minutes. Remove and carefully spread 1/2 cup blueberry jam over top. Crumble over top 1/2 cup of leftover crust mixture. Bake 15-20 extra minutes until top of bars are golden brown. Let bars cool for 10 minutes. Lift with parchment paper edges to transfer bars out. Slice and enjoy! Natural sweeteners I like to use in this recipe - coconut sugar, maple syrup, agave nectar, or honey. I recommend lining your baking pan/dish with parchment paper to easily lift and remove bars from pan when they're finished baking. These were really easy and so yummy! !